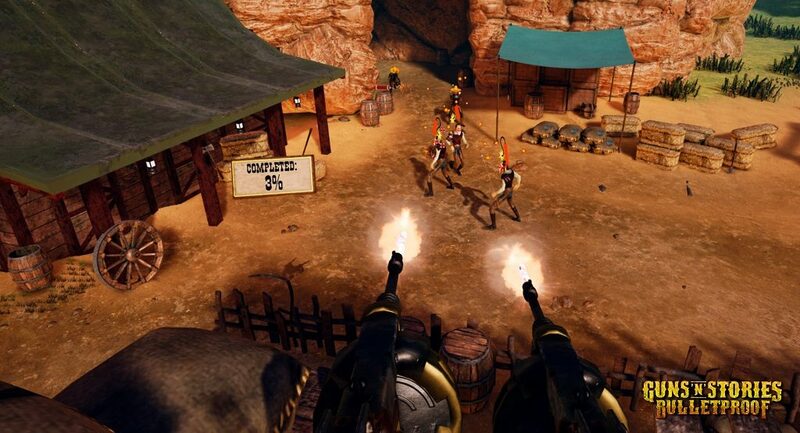 Guns’n’Stories: Bulletproof is a dynamic VR-western shooter that fully immerses players into the ambiance of weird Wild West. Stepping the tangled story-line, you will encounter many intimidating but comical enemies and fight Big Bosses. You will have to shoot aptly and a lot using both hands as well as to use various covers and move actively, avoiding bullets of enemies. You will visit many beautiful locations and will be able to try a big arsenal of weapons under the rhythm of the heavy music, jokes, and cynical humor! VR is getting better and better everyday. Everyone seems to be interested in creating VR content and Hardware. 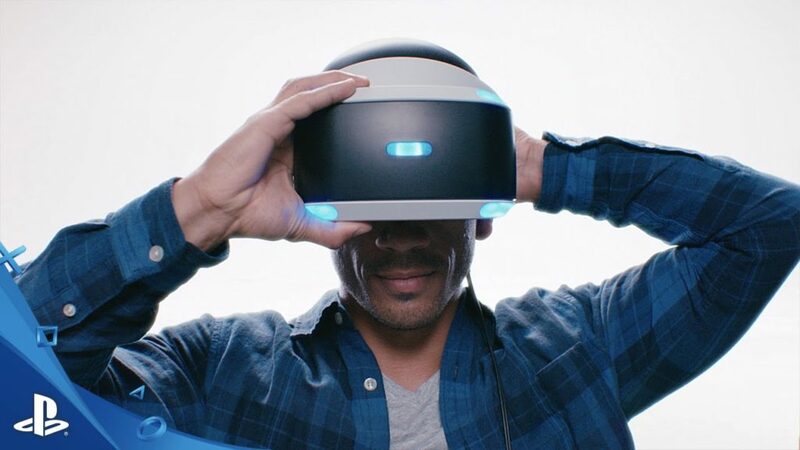 PlayStation is currently the only console that has it’s own VR headset and game collection and they are adding to it slowly. 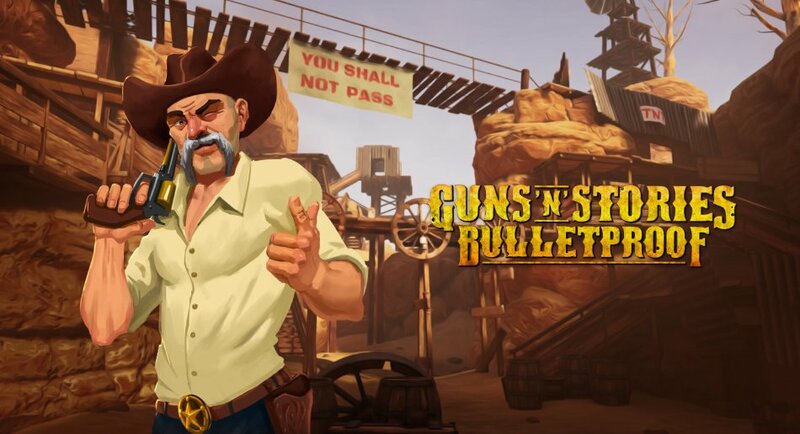 Guns’n’Stories: Bulletproof is the latest in that line-up and it looks amazing. It reminds of the arcade style shooters back in the day with a physical gun controller and never ending enemies but much much more immersive. Developer Mirowin has done a great job with this title. I like the graphics style and the fun story telling with it. 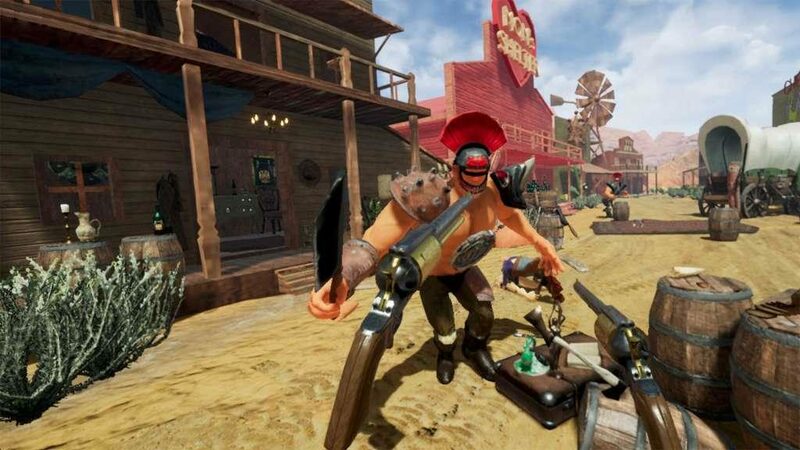 If you happen to own Oculus or Vive then you can play it on PC as well. The game is on sale with a 50% off on it. Get on Steam and get it now, or if you are still unsure about it, you can download Guns’n’Stories: Preface for free and have a feel for it. Red Dead Redemption series has resurrected the old Western shooting genre but this time around, you can find yourself inside of a Western. 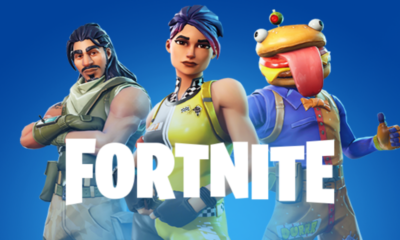 The game will generously reward you for a desire to move actively – you can evade bullets, shut them down, and hide behind the objects while shooting back in your enemies. You will visit lots of locations, every single one of which has been thoroughly thought-out and designed.